I was tickled to find the picture above in a link from the blog post below. This entry was posted in Sister sites. Bookmark the permalink. 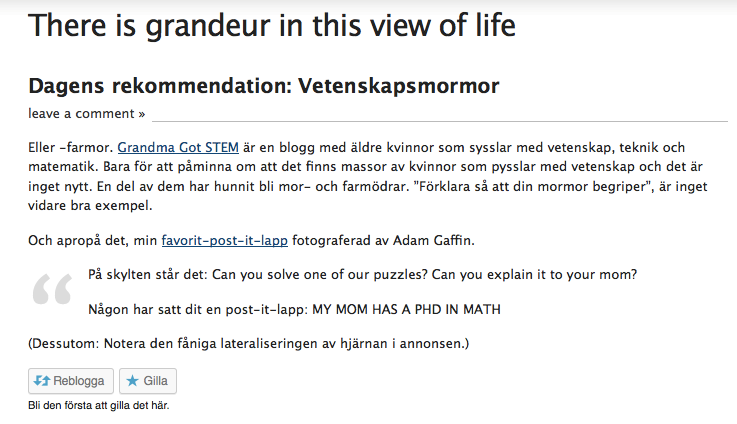 here it is http://martinsbioblogg.wordpress.com/2014/03/23/dagens-rekommendation-vetenskapsmormor/ 🙂 not mine, I just googled the first line of the text :), because I SO loved that note on the post-it. 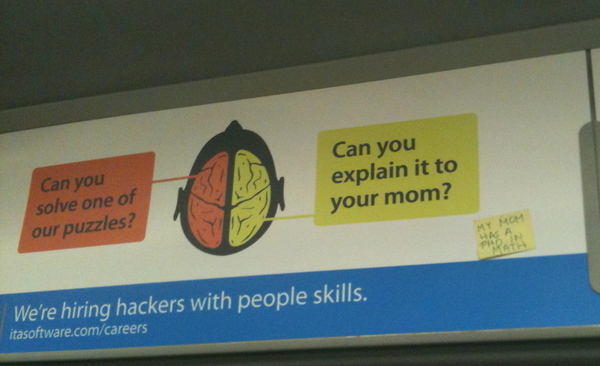 funny how we never see something like “can you explain it to your dad?”, ain’t it :)? I wrote the blog post in question, but it’s pretty much only a link to this http://twitpic.com/40w9ai . I saw it on twitter once and loved it. From Grandma Got STEM – Love the post it!! Not Evil exactly, but plenty thoughtless.